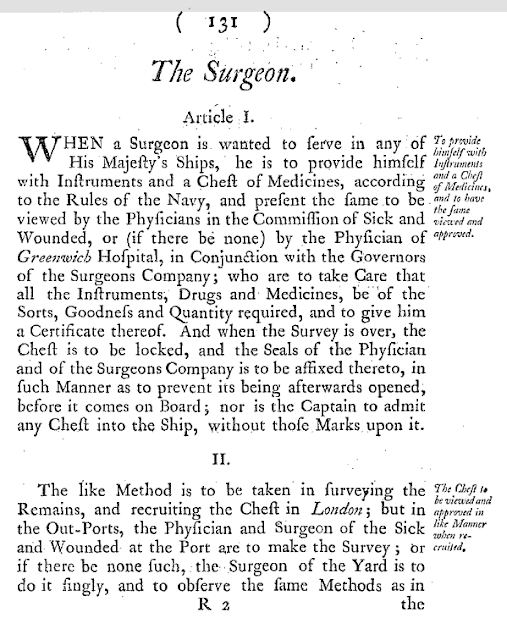 HMS Acasta: What Does the Surgeon Do? 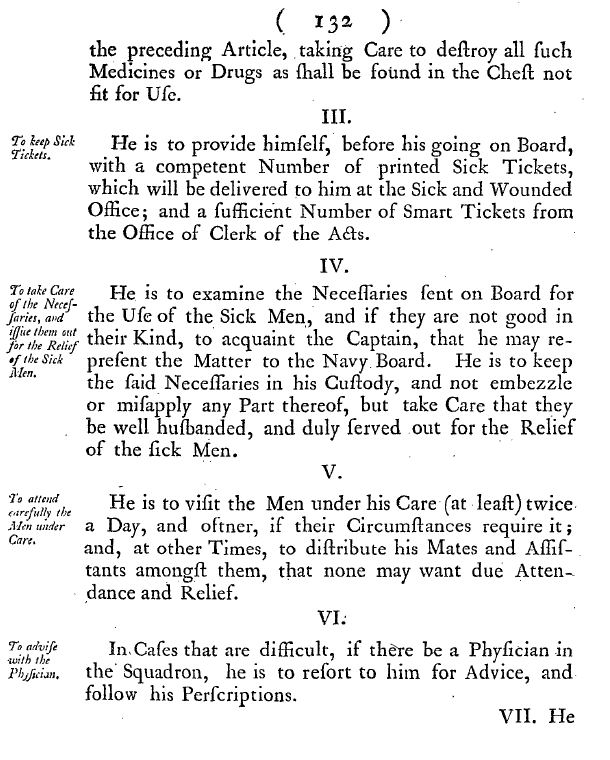 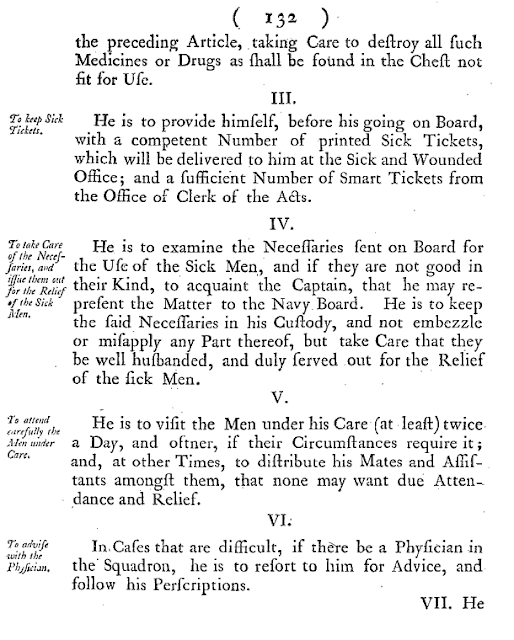 From: Regulations and Instructions relating to His Majesty's Service at Sea. Established by His Majesty in Council. 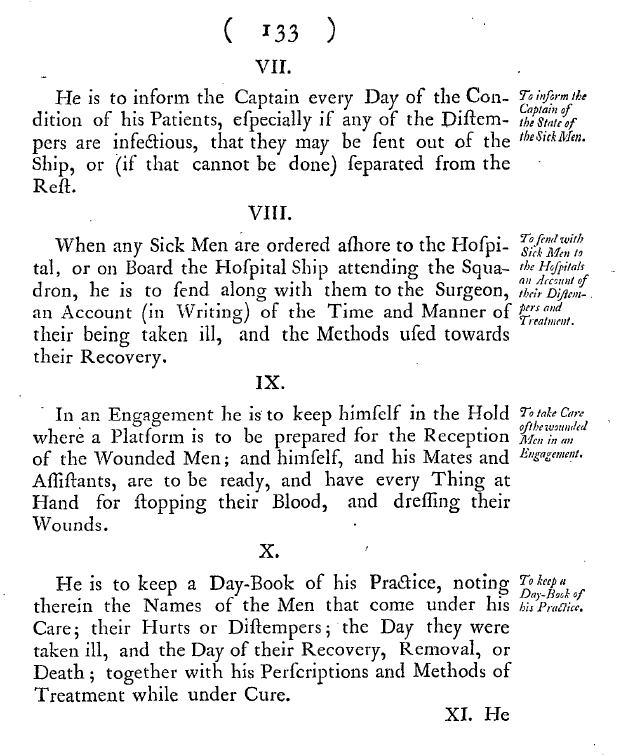 1790 Edition.